At the outbreak of World War II in September 1939, the Air Ministry understood the need to expand its airfield programme and it wasn’t long before it turned its attention to Worcestershire which, although too far inland to act on the front line, was perfectly placed for training pilots and aircrew. 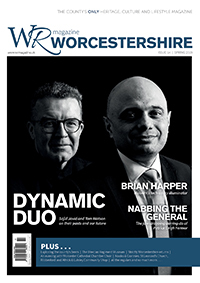 Pippa Sanderson goes full throttle to find out more and uncover what remains of Worcestershire’s RAF today. Caption: RAF Defford with the Malvern Hills in the background. Image courtesy of RAF Defford Museum. Worcestershire Flying School, flying Tiger Moths from a grass field at Pershore Airfield (known locally as Tilesford), was managed by RJ Bunning between 1934–39. 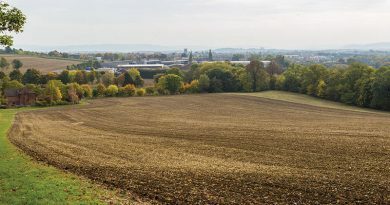 In 1940, however, the Air Ministry requisitioned the airfield and moved in to create RAF Pershore, which included the construction of three runways forming an ‘A’ pattern: runway one of 2,000 yards (1,829 metres), bisected by Long Lane; runway two of 1,510 yards (1,381 metres) and runway three of 1,405 yards (1,285 metres). Four T2 hangars and one J-type hangar, along with the Control Tower (or Watch Office), were also built, as well as four hexagonal brick and concrete pillboxes around the perimeter. Housing light machine guns and rifles, they were designed to protect the base from land attack. Aerial photograph of RAF Pershore. Image courtesy of RAF Defford Museum. Construction work attracted attention from Germany’s Luftwaffe; in fact a high-flying reconnaissance photograph of the construction site was found in a disused building close to Bergen-Belsen Concentration Camp in northern Germany in 1945 (the actual image can be seen at the Pershore Heritage Centre). 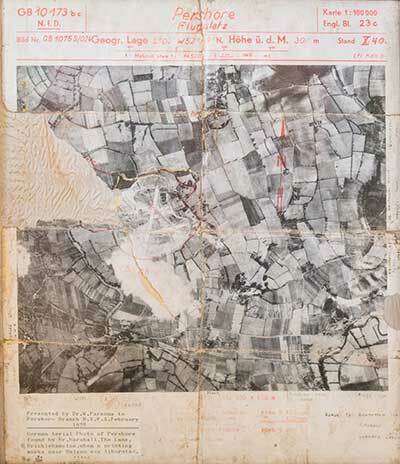 The German aerial photograph of RAF Pershore found by a Mr Marshall when printing works near Belsen were liberated in 1945. Presented by Dr W Parsons to Pershore Branch RAFA in February 1978. Image courtesy of Pershore Heritage Centre. As a result, the area was bombed three times by the Luftwaffe: on 11 September 1940, 12 October and on 22 November, the nearest strike was just a quarter of a mile from the site. Operational by 1941, RAF Pershore was initially home to No 23 Operational Training Unit (OTU), training Canadian aviators in Vickers Wellington bombers until 1944. Together with other training units, the OTU participated in several leaflet-dropping exercises over France, along with raids over Germany, including those at Essen, Bremen and Dusseldorf. Unfortunately, like the majority of OTUs, there was a very high accident rate at Pershore; the large Canadian War Graves section in Pershore Cemetery is a poignant reminder of the airmen’s bravery and sacrifice. Between 1944–48, the airfield became home to No 1 Ferry Unit, the purpose of which was to ‘ferry’ aircraft from factory to front line operational units overseas. It was then used for RAF Police training until 1952, when No 10 Advanced Flying Training School took over until 1954 to train pilots and aircrew in Airspeed Oxfords. The Radar Research Flying Unit (RRFU), which trialled various radar test-bed aircraft, used the base between 1957–76. 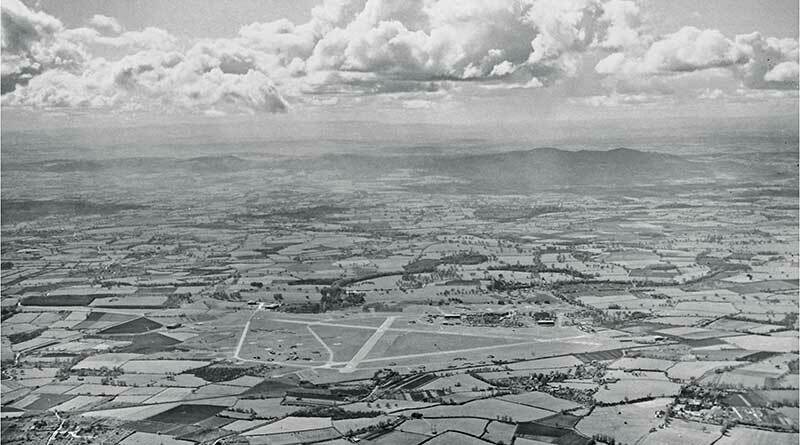 During the 1960s, Pershore also acted as a dispersal airfield for Vulcan bombers, carrying the UK’s nuclear deterrent. The airfield officially closed in 1977. The one-time base is now owned by QinetiQ (formerly known as the Defence Evaluation and Research Agency until 2001) and is used as a business park and trials centre. The annual Throckmorton Air Show ran at Pershore from 2010–15, but was cancelled in 2016 because of spiralling insurance costs and new Civil Aviation Authority conditions. RAF Defford’s Control Tower. Image courtesy of RAF Defford Museum. The laying of the runways extended across Defford Common and necessitated the closure of a public road. Constructed in an ‘A’ pattern, the longest runway was 2,000 yards (1,829 metres) in length, with the two shorter runways being both 1,400 yards (1,280 metres) long. Various communal and domestic sites, including the Station Sick Quarters (now used by the National Trust as visitor facilities), were clustered around Croome Court. When construction was completed in September 1941, Defford opened as a satellite station to No 23 OTU (Pershore) and its Vickers Wellington bombers. Then, in May 1942, RAF Defford became the main station in Britain for the development of airborne radar during and after World War II. The airfield was used by the Telecommunications Flying Unit (TFU), later called the RRFU, carrying out flight trials for the Telecommunications Research Establishment (TRE), which had moved from Worth Matravers to Malvern College in May 1942. 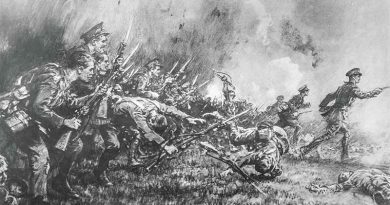 At the height of the war, 100 aircraft and more than 2,500 servicemen and women were stationed in buildings – and tents – in and around the park. Some of the buildings survive and have been restored by the National Trust. The experiments and developments carried out at Defford were of great historic significance, for they played a vital part in helping the Allies win the war, and paved the way for many electronic applications that we now take for granted. There were several ‘firsts’ at RAF Defford, including automatic aircraft approach and landing, which took place for the first time in 1945. Without a doubt, the war’s outcome was influenced by TRE’s H2S radar, which enabled Bomber Command to locate its targets, and Air-to-Surface Vessel radar, which gave Coastal Command the means to seek and destroy U-boats in the North Atlantic. The airfield closed in 1957, after it was decided the runways were too short for large jet bombers, and the flying unit made the short move to Pershore airfield, formerly used by the RAF for training. However, Defford then provided a base for radio astronomy, an activity that has continued to the present day. 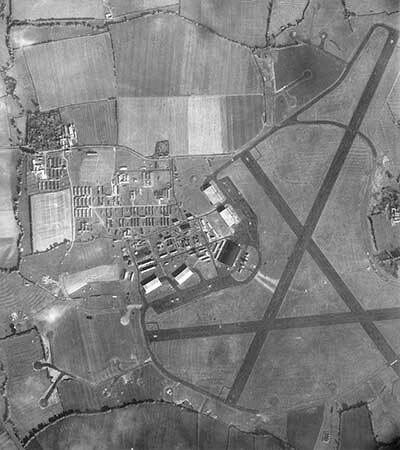 Located close to the village of Wick, near Pershore, but named Comberton (the next closest village) to avoid confusion with the station of the same name in Scotland, RAF Comberton saw action as a GCI (Ground Controlled Interception) radar station, one of five inland bases dating to early 1941, whose primary role was to supply radar coverage of inland Britain, and detect, locate and track enemy aircraft. Brick base remains of radar scanners at RAF Comberton today. 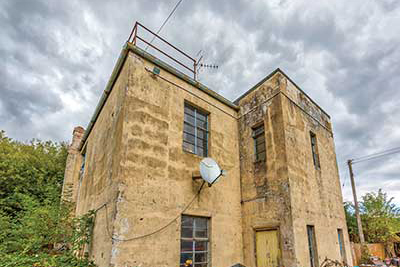 It initially served as a Transportable station (reporting to Ternhill Fighter Sector), with operators in trucks or temporary accommodation operating transmitter and receiver aerial arrays seated on gantries some 220 feet (67 metres) apart. Then, in May 1943, it was upgraded to a Final GCI station complete with operations block, ancillary buildings, guard hut and AMES (Air Ministry Experimental Station) Final Type 7 GCI Fixed radar, which was made up of a single rotating aerial array, underneath which sat transmitter equipment in what was known as a well. As well as being long range, this radar was able to track several enemy aircraft at once. 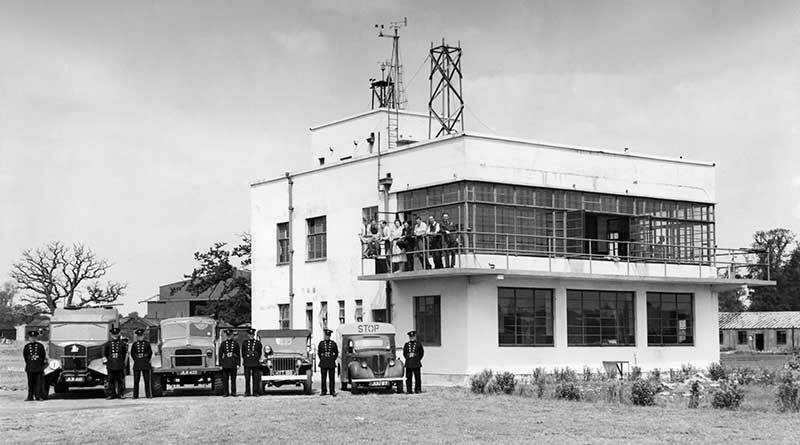 Post-war, RAF Comberton became a ROTOR station, an air defence radar system set up to counter the emerging threat from the Soviet Union. The site, now occupied by Perdiswell Park and Ravenmeadow Golf Course on the northern fringes of Worcester, had been at the forefront of aviation as the world’s first Municipal Airport in the 1920s. Requisitioned in 1939, No 2 Elementary Flying Training School (EFTS) was based at the grass airfield with its portable, arched blister hangars between 27 October 1940 and 9 July 1945, flying Tiger Moths and taking receipt of the somewhat fragile, noisy, hedge-hopping Fairey Battle fighter bombers, built 20 miles away at Longbridge’s Austin Motors. It was said that if the aircraft being tested made the flight in one piece, it passed the test! Larger, sometimes bullet-riddled, aircraft used the ‘Lavatory Emergency’ grass airfield, on occasion crash landing, sometimes fatally, to a standstill on the road or becoming submerged in the large fish pond adjacent to Perdiswell Hall. One such landing in September 1942 contained Hollywood movie star and co-pilot Clark Gable (who, although official records placed him in the US, was accompanying a film crew in the making of a gunnery training film in Worcestershire), travelling on board a Douglas Dakota transport plane called Idiot’s Delight, which was flying from RAF Pershore and crash-landed through the railings onto the Bilford Road and then into Worcester’s rubbish dump. 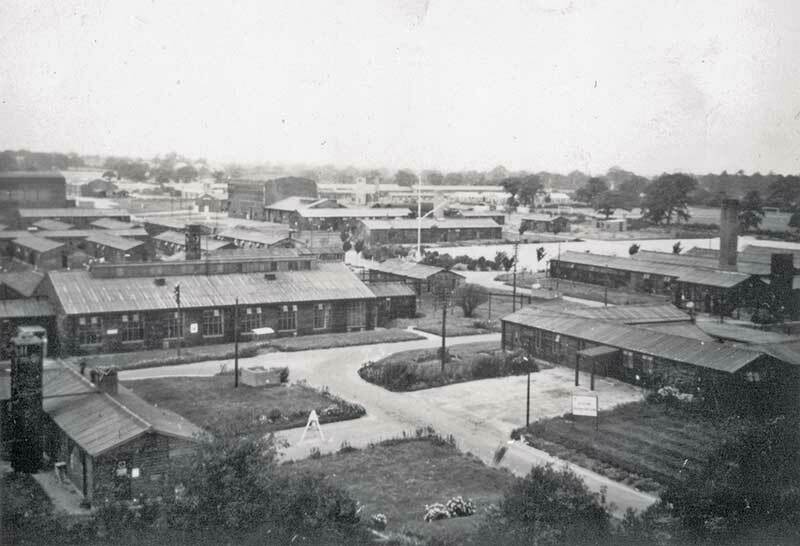 In 1945, the RAF relinquished the airfield to the city council and, until 1947, the barrack buildings were employed to house German prisoners of war (PoWs). This airfield, also known as Pendock Moor, was operational between 1941 and May 1945. 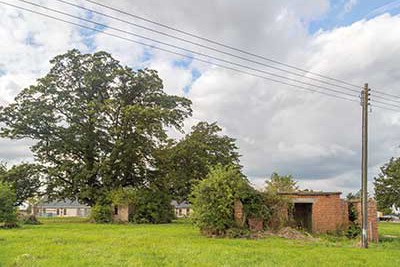 Used by the RAF as a Satellite Landing Ground (SLG), it consisted of a grass airstrip and accompanying buildings, all of which were designed to be inconspicuous from enemy eyes in the sky by clever use of topography. In addition, to the north-west of the airfield, ‘hides’ were constructed from an overhead web of steel cables and 20 foot poles, similar to those seen in hop fields, topped with a covering of wire wool that was painted green for camouflage and, under which, aircraft were secreted before being delivered to their squadrons. The airfield provided extra storage for several RAF maintenance units, including No 5 Maintenance Unit from RAF Kemble (now Cotswold Airport in Gloucestershire) in 1941, No 20 Maintenance Unit from RAF Aston Down (in Gloucestershire) between 1941–42 and No 38 Maintenance Unit from RAF Llandow in South Wales from August 1942. Nearby, a GCI (Ground Controlled Interception) radar station was operated by Malvern’s TRE (Telecommunications Research Establishment) and some associated aircraft were permitted to land at Berrow, albeit within narrow time limits. RAF Berrow. The aerial photograph dates to 24 October 1942. 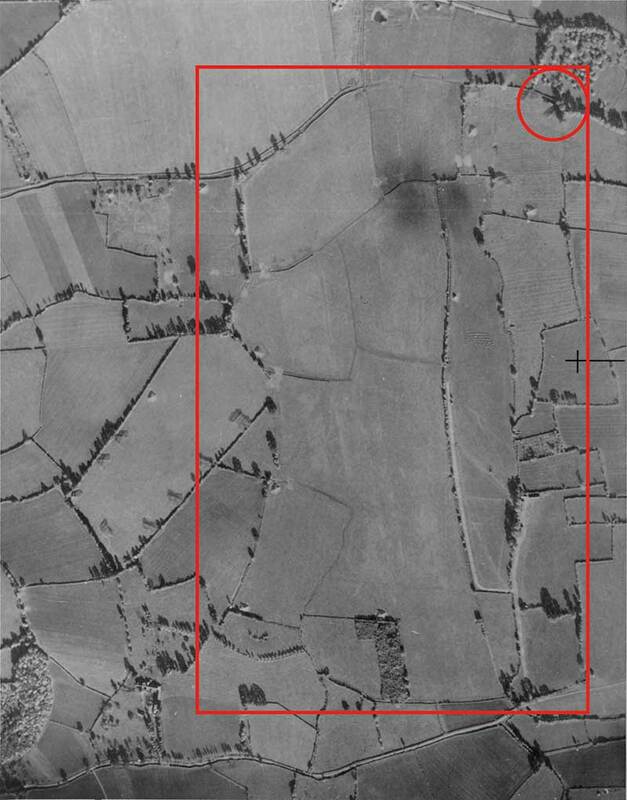 Hedgerows once criss-crossed the airfield (inside the red box) but had been removed. Instead, lines of bitumen were painted on the ground where they once stood to fool the Luftwaffe. Inside the red circle is the cookhouse. Image courtesy of RAF Defford Museum. The cookhouse at RAF Berrow today. This base, sitting 4.6 miles east of Evesham on the Worcestershire/Gloucestershire border, was in operation between 1941–46. Home to No 24 Operations Training Unit (OTU), which trained Canadian aircrew to fly Vickers Wellington bombers and Armstrong Whitworth Whitleys, it undertook bombing raids and leaflet-dropping exercises. The station consisted of three runways forming an ‘A’ pattern; a J-type hangar and four T2s; and temporary and permanent buildings to accommodate 382 women and 1,973 men as of 1 December 1944. 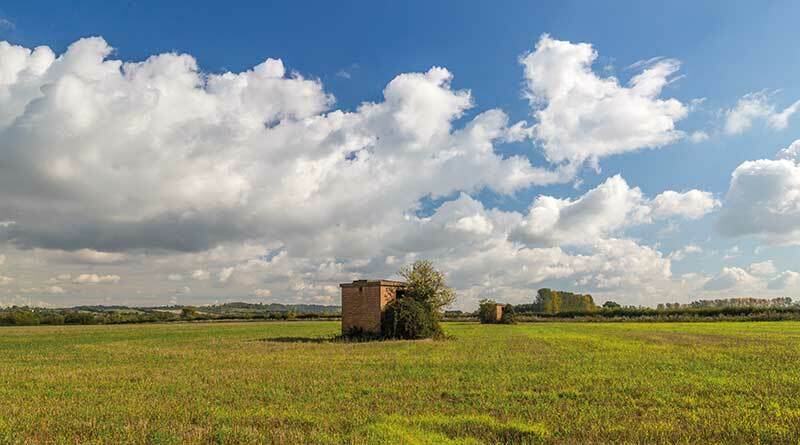 Five Oakington pillboxes situated round the airfield’s perimeter defended the station from ground attack. 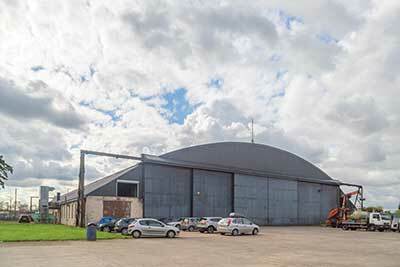 Honeybourne’s J-type aircraft hangar, still with its original WWII doors. Derelict buildings in front of the J-type hangar at Honeybourne. RAF Honeybourne’s Control Tower, now a private residence, which seems to have changed little since the war, apart from the ubiquitous satellite dish. The Ferry Training Unit was based at RAF Honeybourne between November 1941–March 1942, flying Lockheed Hudsons and Bristol Beauforts; and No 1425 (Communication) Flight flew Liberators from the airfield between November 1941–April 1942. On 2 June 1943, a Whitley bomber plane crashed less than 180 metres from Broadway Tower due to poor visibility while carrying out a non-operational training flight. The crew from RAF Honeybourne were all killed. From August 1945, RAF Honeybourne played temporary host to No 21 OTU and its Vickers Wellington bombers for a couple of months as the runways at its home at RAF Enstone near Oxford were being repaired. After which, it was used by No 107 Sub Storage Unit from No 8 Maintenance Unit to store aircraft prior to their decommissioning. Closing in 1947, much of the airfield has reverted back to farm land. The concrete runways were removed in 1968 but several buildings (many of which are well preserved) and the hangars are now part of Honeybourne Airfield Trading Estate. Another Worcestershire RAF station used by RAF maintenance units was at Hartlebury near Kidderminster. No 25 Maintenance Unit was based there from 1938 until well after the end of World War II and, in 1977, it became Hartlebury Trading Estate. The majority of personnel were civilians and the station stored almost everything required by the RAF for distribution throughout the country and overseas, including medical supplies, Spitfire spare parts and fighter engines. Nissen huts, half-cylindrical prefabricated buildings constructed from corrugated steel, and other buildings, such as a canteen and offices, were spread over a large area; there was also a football pitch. 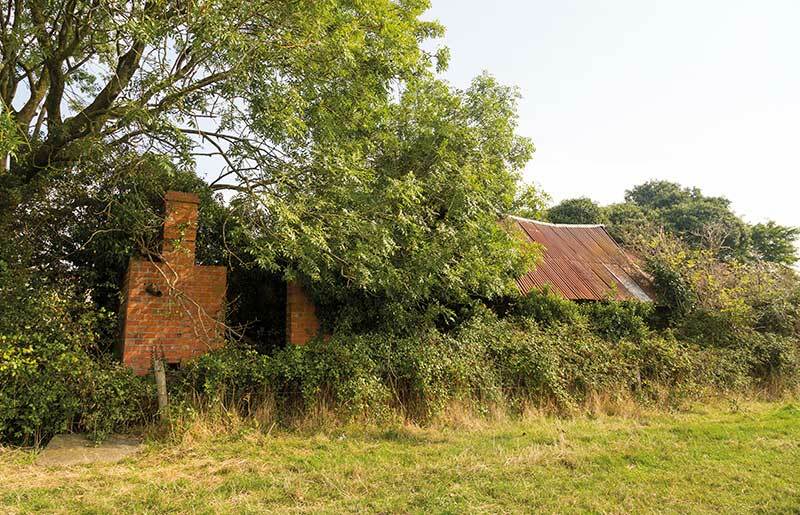 The War Office requisitioned 105 acres of land belonging to Yew Tree Farm in Wythall in 1939 to construct what would become RAF Wythall, located just 10 miles from Bromsgrove in the north-east of the county. Shortly afterwards, the station became operational as the home of No 6 Barrage Balloon Centre, responsible for numbers 914, 915 and 916 squadrons, the aim of which was to defend the southern flanks of Birmingham, Coventry and part of the Black Country from aerial attack. RAF Wythall, viewed from the church tower in Chapel Lane. 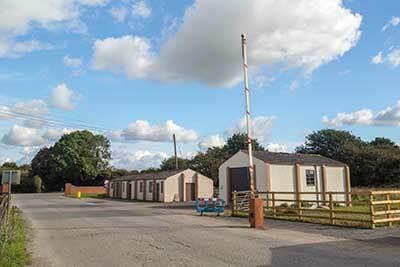 It shows the base extending over the area now occupied by The Transport Museum and The Caravan Club. 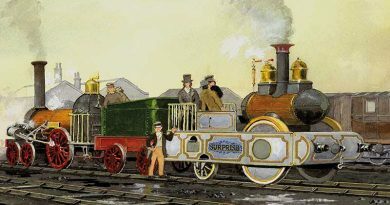 Image courtesy of The Transport Museum collection. Barrage balloons, or ‘blimps’, as they were known, were vast 60-foot-long hydrogen-filled balloons that were tethered to terra firma by metal cables, whose principal aim was to disable enemy aircraft and thwart the Luftwaffe’s dive bombing attempts over Britain’s major cities. As an airborne obstruction, enemy aircraft either flew into them or were forced to fly higher and into the sights of anti-aircraft fire. RAF Wythall’s territory spanned some 600 square miles and at least one of its balloons found its mark by halting the progress of an enemy aircraft: a Heinkel He111P bomber on 9 April 1941, which had flown in from northern France. At the end of the war, the station became No 105 Personnel Despatch Centre (WAAF) Wythall, a ‘demob’ centre for servicewomen; after which, it served as the headquarters for No 90 Signals Group between 1951–59. During that time, the Radar Navigation Aids Wing was accommodated there from April 1952 to February 1953, and between 1952–57, RAF Wythall became part of the Joint Services School For Linguists, which trained interpreters and translators in several languages, including Chinese, Russian, Polish, Czech and German. The Longbridge-based Austin Motor Company rented the station’s main hangar from 1956, in which supplies of the new Mini were stored. In December 1959, however, RAF Wythall became non-operational and was auctioned off in the 1960s. Plans were put in place to start building work in early Spring 2014 at RAF Defford in Croome Park to accommodate the RAF Defford Museum. The main building of the museum, in the meticulously restored RAF building that housed the Decontamination Annexe of the Station Sick Quarters during World War II, opened to the public in September 2014. A second building, the former Ambulance Garage, has been restored and preserved thanks to the generosity of a private donor, and opened to visitors in February 2016. This building houses the preserved forward fuselage of a Canberra jet bomber, which was in use at Pershore following the arrival of the RRFU after Defford closed for flying in 1957. The museum and Canberra exhibit tell the fascinating story of RAF Defford during World War II and the Cold War years, and its vital role in the flight testing of secret radar systems devised by scientists at the TRE in Malvern. It describes the part played by the station in the social history of rural Worcestershire and the way in which the construction of the airfield dramatically changed the landscape of Croome Park, now owned by the National Trust. See www.nationaltrust.org.uk/croome/features/raf-defford for more information. The Defford Airfield Heritage Group (DAHG) seeks to record, research and preserve the history of Defford Airfield, working in partnership with the RAF Defford Reunion Association, which formally merged with DAHG in September 2011. DAHG works in support of the Friends of Croome Park and the National Trust. See deffordairfieldheritagegroup.wordpress.com for more information.